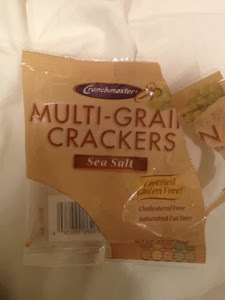 These crackers from the VeganCuts snack box were really good! I'm not a big cracker person. I would rather snack on fruit, candy, seaweed, or nuts but today I was running around for work and these were a perfect snack! The salty and crunch and flavor were all amazing. I definitely recommend these :) yum good choice VC!